The current war in Gaza did not have to happen. It is a result of the actions of the Israeli government and its supporters, including American backers, and complacent Jews in Eretz Yisroel and abroad. This war is one of the grave consequences of The Disengagement Plan, i.e., the expulsion of Jews, both soldiers and residents, from the Gaza Strip, and the resultant predictable empowerment of Hamas. This week is the Ninth anniversary of the Disengagement of Gush Katif and the Northern Shomron. Regardless of who is to blame, this war has affected all of us. After a few paragraphs about the Disengagement, I want to address the inner need to examine how we can do our part to lessen the causalities on the multiple battlegrounds, in Eretz Yisroel and around the world. With eerie coincidence, the pre-summer edition of National Geographic magazine ran an article about Gaza Tunnels. It is not surprising that National Geographic did not notice that the tunnels were for aggressive terrorist activities. They explained the tunnels were for smuggling food, and supplies to fulfill basic needs. The magazine portrayed the economic situation in Gaza to be dismal. They might be accurate on that point. The Disengagement Plan of 2005 emptied Gaza of its Jews and the economy tanked. With the exception of one industry – which is booming. The terror industry. Pun intended. 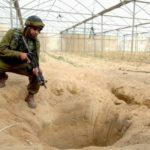 In his book Tfila Le’Ani, “The Poor Man’s Prayer”, author Rabbi Yossef Elnekave of Gush Katif tells of how – prior to the Disengagement – Israeli soldiers stationed in Gush Katif were reporting ­­­­­sounds of tunneling. (Even when the sounds of tunneling can be heard, determining the actual location of the tunnel is complex.) Rabbi Elnekave says he reported the tunneling reporst to the Technion – where he was told that equipment to detect tunnels was expensive – and the Rabbi brought up the topic of tunnels at a meeting with Defense Minister Shaul Mofaz. But Mofaz was not concerned. He said publically, “The level of terrorism will drop after the Disengagement.” And the cost of the equipment to detect tunnels? I wonder how it compares to the cost of the current war in terms of money, bad press, and limbs and lives of our front line soldiers, the brightest and the bravest of their generation. On the Jerusalem Post website, August 4, 2014, Michael Freund has an article titled, “The Gush Katif War.” He does an excellent job of connecting the Israeli government’s destruction of Gush Katif with the current war. He gives an example of Interior Minister Gideon Sa’ar finally admitting that the Disengagement, which took place nine years ago, was a mistake. Many politicians are making such statements as the war progresses, including Prime Minister Netenyahu. The Lubavitcher Rebbe spoke passionately and relentlessly about not surrendering land to Arabs. That was in the 1970’s and 80’s. It takes a little longer for the politicians to catch on. I hear stories of Achdus (brotherly unity) and miracles that are part of the war story. But they do not placate me. I hope these stories do not placate others. There is a war going on and we need to be motivated to do our part. Along with the warm fuzzies of miracle stories, we have to realize the cold reality – anguish, agony, heartbreak – of war. How much time do you want to dedicate to help combat Hamas and world-wide hate propaganda? An hour a week? A half a day a week? This is in addition to daily prayers for the safety of soldiers and civilians in Eretz Yisroel. Or should I say, in addition to forwarding emails to ten people and figuring they will say the Tehillim, so you don’t have to. First. How can we help the soldiers? I have three suggestions. First: Send gifts and the opportunity for Mitzvahs to the soldiers. It raises their spirit and energy levels. Don’t get me wrong, the soldiers are motivated and understand they are guarding the lives of the 6,000,000 Jews in Eretz Yisroel. They are enthusiastic to get the job done. But that does not take away from the joy of receiving gifts routed in HaKaras HaTov, appreciation. If you cannot go yourself and you want to send money to buy things, then go to the website chabadhebron(dot)com and donate. Be sure to indicate that you want this donation to be used for the soldiers. The money will go to the vans full of teenagers visiting the soldiers at the Gaza staging areas a few times a week. A popular gift is fresh undergarments. Do you know how hot it is in Gaza? The soldiers are in full uniform with heavy equipment. And the army is not doing laundry every few hours. I think you get the idea. The vans also bring food. Not just pizza and sugar drinks, but real shawarma and shnitzle. As well as treats and the opportunity to put on Tefilin. The vans are under the direction of Itzik Sandroi of Mitzpeh Yitzhar. There are plenty of organizations ready to take your money for gifts for the soldiers. I suggest you only give to people you know will use the money to reach your intended goals. After you gather 10 children, 5 or even 3, then its time to take a picture of your gathering and share the idea with your internet friends. Third: Personal Davening. But in a Chabad way. The soldiers are in combat. Transform your Davening into ‘Combat Davening.’ Not the usual Davening war with the Yetzer Hara – but an effort that goes the extra mile for the extra zuzim. I suggest an upgrading in Chitas and Rambam. 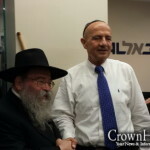 If your Chitas and Rambam are already beyond upgrading – then you do not need me to make suggestions for you. The next battlefront is the media. We all know that the media loves dead bodies. The side with the most dead bodies wins in the media. And the dead bodies don’t even have to be dead. As long as they are still enough for the media to get the best angle and adjust the lighting. What I am saying is that it is difficult to win in the media. But that is no reason to give up the fight. In the frontlines of this battlefield is the website honestreporting(dot)com. They often request their readers to email certain media outlets and often their campaigns result in admission, apologies and retractions. These results are not as well publicized as the lies and touched up photos, but the retractions are important. And one would hope the media outlet that has to apologize might reconsider before repeating the offence. The next media suggestions takes time and effort. A well written letter to the editor will get printed or posted and will be read by thousands of people. But you need basic training for this battlefront. Contact honestreporting(dot)com and ask for their instructions for writing letters to the editor. Follow the instructions and your efforts will make a difference. Even if your first letter does not get printed, at least the editors read it. If you stick to the rules, you have a good chance of getting the word out there. It is worth the effort. Then social media. This is only for people who already use social media. By all means, do not open a FaceBook account in order to help the war. Choose one of the other options. But if you are already on social media, it does make a difference if you share valid reports and projects about the war. Stay away from the undocumented miracles and letters from soldiers about to go to battle. Petitions are generally a waste of time and a way to obtain your personal information. Anything that needs personal information – beyond your name and mother’s name for a Sefer Torah – should be avoided. You don’t need to go where things are murky – there is so much available now to share. 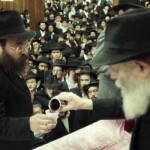 There are good articles in support of Eretz Yisroel and with the Rebbe’s message. They should be shared. They affect opinions. That’s what all this media and social media is about. Opinions eventually determine where the money goes and where the votes go. Now we have come to diplomacy. Politicians. You might be thinking that dealing with politicians is for shrewd people and/or people who like to get their picture taken. Wrong. And also correct. Correct because politics attracts those people, but wrong because influencing politicians does not go to them exclusively. We can write letters to politicians – but STOP! Do not write to the President or the State department. I can write a thousand words about why not to, but I ask you to trust me on this one. Letters to the President and State Department are a waste of time. The American system (as my Canadian brain understands it) puts Congress and the Senate responsible to the people. If you are someone who likes to be a mover and shaker, then by all means get a group together and make an appointment with your Congressman, Congresswoman and/or Senator. Or write a letter to where it is going to make a difference. HaKaras HaTov goes a long way. The Rebbe often said Ain Mazrizin Eileh L’Mezurazim, Encourage the Encourageable. Don’t bother with politicians who have their agendas to be anti-Israel. Contact the ones who are on our side. They need your feedback. Let them know they are reaching people. Let them know that their stance will further their career. They deserve our support. It’s more like we owe it to them. You like to sign petitions? Get a petition thanking US Senator Marco Rubio, Florida – R, for his incredible, gutsy speeches in the Senate. From the clips of him I have seen, US Senator Cory Booker, New Jersey – D, seems to like he loves feeling popular. He has also spoken out in support of the IDF. Again – HaKaras HaTov. It’s a Mitzvah. And I don’t see anything wrong with bombarding the Canadian Prime Minister with letters of appreciation. He deserves to see that we appreciate him. He gets a lot of flack for his loyalty to Eretz Yisroel. Let’s turn it around and show him anti-flack. I hope my ideas have inspired you to get into uniform and join the combat forces. I just spent two wonderful weeks in Ertez Yisroel. I arrived after the attack on Gaza had begun, and days before the soldiers actually went in. I visited a friend of mine who has two sons in the army. The one in reserves was called up right away. He took over patrolling areas south of Hevron so the regular soldiers could get ready to go into Gaza. Nowadays Hevron is considered safe. The other son is a paratrooper, one of the very first to enter Gaza. His unit was sent to combat the unknown. The army was not yet acquainted with the extent of how well armed Hamas had become. Unfamiliar with their latest tactics including the use of children and booby traps. My friend’s son was shot in the ankle. I drove her to visit him in the hospital. He was getting amazing care and may eventually have almost full use of his foot. And yes, there were organization representatives bearing gifts. And yes, visitors were appreciated. Yes. Yes. Yes. But NO. My friend’s son was in pain. He is trained to not feel pain. He can be in pain from injuries and not leave his post. But when I saw him in his hospital bed he was in pain. So were others from his unit who were in the hospital. The biggest pain was that he needed hospital care and could not attend the funerals of three close friends who fell in battle two days after he left their side. The morning of the funerals, this brilliant soldier, a fun loving youth barely out of his teens, brave beyond belief… was in tears. This war is a result of the Disengagement Plan. The Israeli government has intentions to expel more Jews from their homes and surrender more land to our enemies. Gaza is in the south and off to the side. Yehuda and Shomron are on high land in the center of the country with more square mileage than Gaza. Attacks from the Yehuda and Shomron are potentially much more dangerous than attacks from Gaza. It seems that Netanyahu is doing the right thing now, but he cannot be trusted. We trusted Sharon and forgot, or forgave him, that he destroyed Yamit. Let us not forget that Netanyahu surrendered Hevron as part of the Wye Agreement. And he voted for the Disengagement to become a law. Our trust is in Hashem – but we are expected to do our part. Let’s do what we can to bring Moshiach Now. Excellent article. Should be taken to heart and brought into action by anyone who truly loves Eretz Yisroel – as this author obviously does. Would the writer consider publishing an article in a more secular forum? This is great to read and gives pause to think. At the same time, the larger world needs to get information and opinions outside of the typical media renditions. Would other adept writers consider public forums for a less biased portrayal than the average media source represents? If not, then we can’t blame the average American to latch on to that typical biased vantage point. And that results in anti-semitism and resentment across the world, including in our own back yards. You make a valid point. I did a second version of this article and submitted it to other Jewish media outlets. I neutralized the assumptions that the readers were Chabad, but still left in some points about the Rebbe. I do not know if it will get posted or printed. Not all the Chabad websites thought it was relevant enough to post. As far as writing for the general population at large, I wrote a novel called BANISHED. It is an historical novel about the Disengagement. Historically correct with fictional characters. It teaches about Shlaimos HaAretz and Moshiach but is written for a more general audience. I am at the point of marketing. Everything takes time, effort and money. But I am getting orders on amazon and I hope to get more. So well put, passionate , thorough and intelligent…will follow your lead!